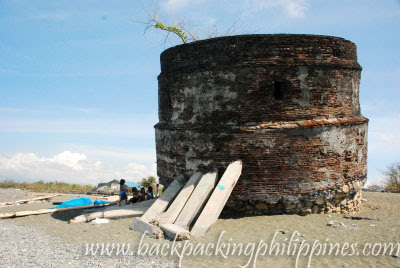 Several baluartes (watchtowers) can be found on the coast of Ilocos Norte, Ilocos Sur and La Union built by the Spanish authorities to guard and warn coastal communities of any suspicious ship coming to shore and thus warn people of impending danger from marauders, usually Moro or Chinese pirates slave traders, snatching young girls and women during summer. The watchtowers were mostly constructed about 400 years ago, made of adobe blocks and coral stones joined by lime and egg whites, typical construction styles of Spanish churches. Tutubi already visited and posted several of the watchtowers and this one, located in the town of Luna, La Union (formerly called Namacpacan and now named after one of the towns famous sons, Gen. Antonio Luna (brother of Juan Luna)) is no different but in such sad and forlorn state, just waiting for a strong typhoon, tsunami or apathetic humans to topple it down to oblivion. 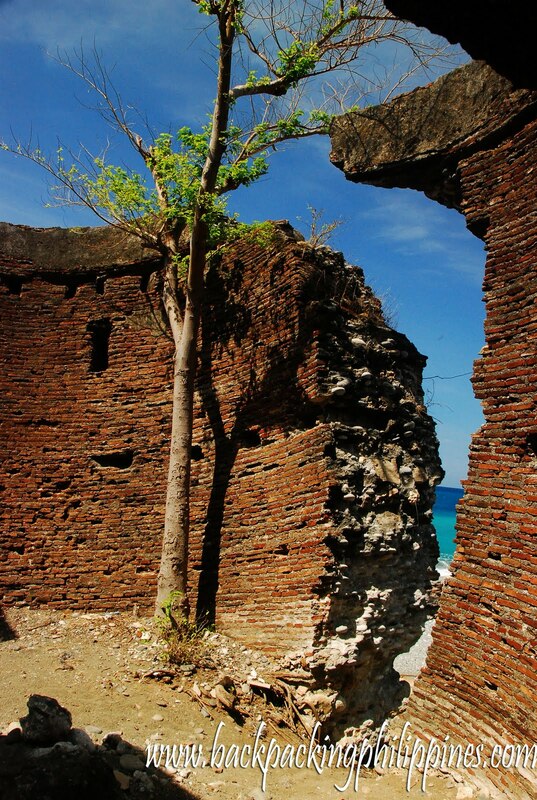 The watchtowers foundation is already eroded probably due to seepage of seawater making it look like the leaning Luna watchtower that urgently needs restoration, if there are still people out there who appreciate heritage. 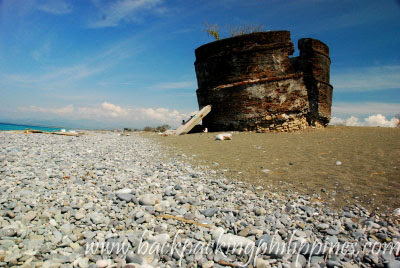 Other baluartes in La Union province can be found in Carlatan, San Fernando (a small town formerly known as Pindangan), Balaoan, Bacnotan and San Juan, all yet to be visited by Tutubi. 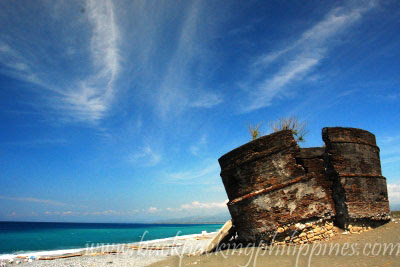 I've been to La Union very recently but it was for work. I'm definitely adding this to my itinerary next time.